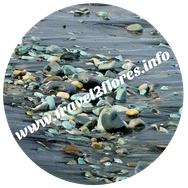 What is the best way to get to Flores? 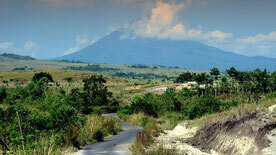 The quickest way is by airplane from Denpasar, Jakarta, Kupang or Makassar. What is the best airport to enter Indonesia when I come to Flores? It depends on what you want to do before you come to Flores. If combinated with other islands in NTT, for example Sumba or Alor, Jakarta is an option with good connections to Kupang, the hub for other islands further east. From Jakarta there is also direct flight to Labuan Bajo wit Batik Air (Lion Group). However, the most used airport to get to Flores is Denpasar, Bali. When is the best time to buy intercontinental tickets? From Europe the best time to buy tickets for the high season (July and August) are 10 to 12 months before. The best time to buy a ticket for the Christmas period is between March and May. For other months you best can search for a ticket about 5 months in advance. The cheapest months are usually February to May and September to November. I suppose for other continents this is more or less the same. To which airport should I fly on Flores? If you want to go to Komodo NP only you can fly to Labuan Bajo. There are flights from Jakarta, Denpasar and Kupang. Carriers are Batik Air, Garuda Indonesia, NAM Air and Wings Air. For the classic route from east to west Maumere is the most convenient one. There are flights from Denpasar and Kupang, served by Garuda Indonesia, NAM Air and Wings Air. Ende is also possible but if you intend to go to Moni for Kelimutu, then on to Labuan Bajo you have to take the same route twice. The difference in traveling time between Ende to Moni or Maumere to Moni is half an hour when coming from Maumere town or one hour from the Airport. Also, when starting in Maumere you have the chance to enjoy Koka beach, the most beautiful beach on the mainland of Flores. If you want to start in Bajawa there are flights Denpasar-Labuan Bajo-Bajawa with Wings Air or from (Jakarta) Kupang with Wings Air and Transnusa. Are there connections between airports on Flores? When is the best time to buy domestic tickets? Outside the months July and August, the Idul Fitri period (check the calender first) and around Christmas and New Year about 2 months in advance will be ok. In June this year the news came that all Indonesian carriers have been removed from the European Commission's airline blacklist. See news earlier this year. There is no need to avoid carriers like NAM Air, Transnusa or Wings Air. How much weight of luggage can I take with me? Are there boats to Flores? 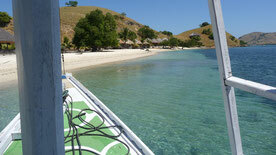 Yes you also can travel by boat to Flores in different ways. d. You also can travel with ASDP, a smaller ferry from several islands in the aerea. Do I need to buy a visa to enter Indonesia? If you intend to stay no longer than 30 days you don’t need a visa. You get a stamp at the airport, at the seaport or at the landborder. a. you can buy a visa at the airport which is extendable at one of the immigration offices (for Flores in Maumere or Labuan Bajo). This is not advisable if you intend to travel, unless you will be on the same spot for a week or so. b. you can buy a visa at one of the embassies or consulates abroad; this visa is 60 days valid. What is the best time of the year to go Flores? The dry season is roughly from May to October, however you still can expect some rain, especially in the highlands around Ruteng, Bajawa and Moni. The rainy season should start in November untill April with the months January and February as the worst. However seasons on Flores, like elsewhere in the world are not so strict anymore these days. In the rainy season it can be difficult to climb mountains or sometimes not possible at all. The rainy months are also not so attractive for diving and snorkling. But on the other hand the rainy season is Flores at its most beautiful as the most dry parts of the island like north coast, the far east in Larantuka and Adonara will turn into green again. But also many landslides because of the heavy rains. The classic route on Flores is from Maumere to Labuan Bajo or the other way around. A full trip will cover the far east including Larantuka, Adonara and Solor. As there is actually only one good road on the island, the Trans Flores Road from Larantuka to Labuan Bajo, most visitors stick to the classic route. If you have time enough other roads off the main road although in bad shape are very rewarding as you see the island even more pure. How long will I be on the road every day? This partly depends on how many days and which part you want to visit. 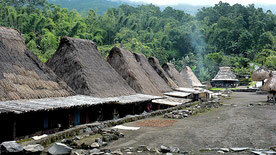 The sections like Maumere to Ende, Bajawa to Ruteng etc. are an average of 4 hours non stop. Other sections like Maumere-Moni and Moni-Riung or Bajawa may take shorter/longer. Please do don't underestimate the travelingtimes. The average speed on Flores is 35 kilometers/hour on the mainroad. Roads off the Trans Flores are often potholed and bumpy and the speed is sometimes only 10 kms/hour. Also check this part Transport by road about halfway the page. Trips to Flores can be made in a few days only up and untill the full 30 day visafree period (and even more). If you are in a hurry you can fligh a part of the trip (which is a shame as you miss the beauty of the island). So it depends on your time an interests actually. Within one week you can see the highlights. With 10 to 14 days you have more time to take it easy and you can start in Larantuka (airport Maumere as the route via Kupang is more expensive and takes more time). Three to four weeks gives you the chance to explore even more and you could combine public transport with travels (shared car or minibus) and private car= and go off the beaten track. If you need advise, please contact me.